Primative Gatherings has done it again with "Warm Winter Blessings." 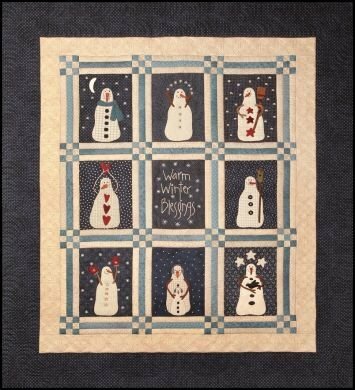 This adorable quilt has wool snow men on indigo cotton backgrounds. Our Block of the Month program is 10 months and includes pattern, all fabric and wool for the quilt top, and binding. Finished size is 54 x 63.